The Bezold effect is an optical illusion, where a color may appear different depending on its relation to adjacent colors. but in fact none is drawn. This effect is known as a subjective or illusory contour. Also, the nonexistent white triangle appears to be brighter than the surrounding area, but in fact it has the same brightness as the background. Look closely at this image… Do you see a spiral? The pattern around the ball should grow and shrink as you move. Take a close look at this so called triangle! 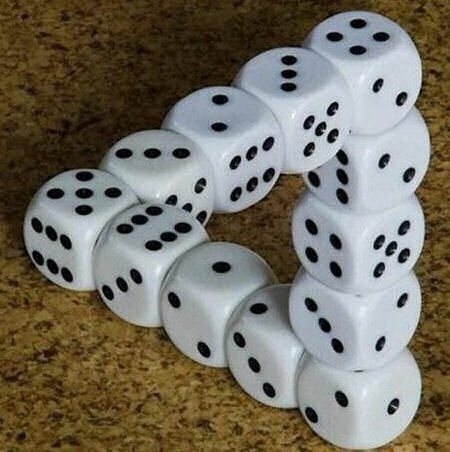 Try to perceive its’ orientation. Seems impossible.